Thinking about launching a company blog? Great, now if you want to avoid being “that guy,” then here’s the essential elements that you should incorporate into your blog. 1 – A strategy. Why are you blogging? What are you attempting to do with your blog? Establish your company as an industry leader? Boost your brand awareness? Provide customer service? Know what you want to accomplish with your blog, and make sure that your goals are consistent with your overall business strategy. This post goes in-depth into creating a solid content strategy for your blog. 2 – A dedicated group of bloggers. If you only have one blogger, or if you have five, every blogger needs to know what is expected of them, and what their role is. If each blogger needs to write 2 posts a week, they have to be willing to give you 2 posts a week. Keep in mind when setting your team and expected goals, that it’s better to start with less and then grow as the skills and familiarity of the team improves. For example, it makes more sense to start with asking 3 new posts a month from each writer, then after a couple of months you may want to increase the rate for each writer up to 5 new posts a month. Starting small and growing makes more sense than taking on too much right out of the gate. 3 – A posting schedule. This ties in with #2. Ideally, a company blog should have at least 1 new post a week. Make sure each blogger knows how many posts a week/month they are responsible for, and have the posts up on a set pattern. Don’t have the bloggers put them up whenever inspiration strikes, that’s how you end up with 2 posts a week; one on Thursday night at 10:46pm, the other on Sunday at noon. Set up your posts to run in the middle of the week, and then move outward. Tues, Weds, and Thursday are usually the best days for traffic, so schedule posts to run these days, usually around 10am-noon. 4 – A comment policy. Do you moderate? If so, how long does it take to approve comments. When Shelia leaves a comment at 3am Saturday morning, will it be noon on Monday till it’s approved? You need to know this. For extra credit, list it on the blog itself. Keep in mind that you are under NO obligation to let stand ANY comment that personally attacks any of your writers or any of your writers. Challenging ideas presented is fine, but if any comment attacks or attempts to bully either a writer or reader, feel free to delete the comment without prejudice. Your house, your rules. 5 – An ‘About Us’ section. Tell me who you are, what you do, and how I can get in touch with you. It’s best to include an email address AND a phone number. Yes, people still like to reach you via a phone call. For extra credit, add a section explaining what your blog is about. 6 – Pictures and bios for EVERY blogger. Again, this is non-negotiable. I need to be able to SEE who every blogger is, and I need to know their background. Simply seeing the face of the bloggers writing for your blog makes it much easier to trust and relate to the writers. Really. 7 – A clear Call to Action. You want to direct your readers to engage in some type of action. Maybe you want them to download your new white paper, or signup for a product trial. Perhaps it’s simply asking them to call you, but you should have some type of Call to Action. 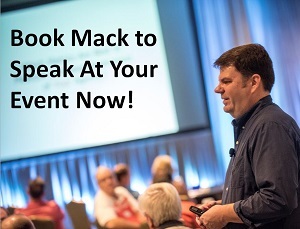 Notice at the top right of this blog I have Calls to Action asking you to hire me to speak, or check out my LinkedIn profile, or read my recent posts. You need to give your readers an action to take. 8 – RSS subscriber buttons. Give your readers a way to subscribe to your blog, via a feed reader, or email. Feedburner can help you set up both, go to Feedburner.com and set yourself up a free account, if you haven’t already. A small section explaining what RSS is and the advantages of subscribing would be a nice touch as well. 9 – A section for Recent Comments. This isn’t a ‘must have’, but it’s a really nice way to put the focus on your readers, and it also gives them an idea of which posts are getting the most attention. If you aren’t really interested in getting comments on your posts then you could focus on something else like your most popular posts or promote your company website. 10 – A personal touch. Be human. Refer to commenters by name. Say ‘thank you’ early and often. Ask for feedback, and opinions. Remember that ultimately, people don’t want to connect with companies, we want to connect with people. What did I miss? 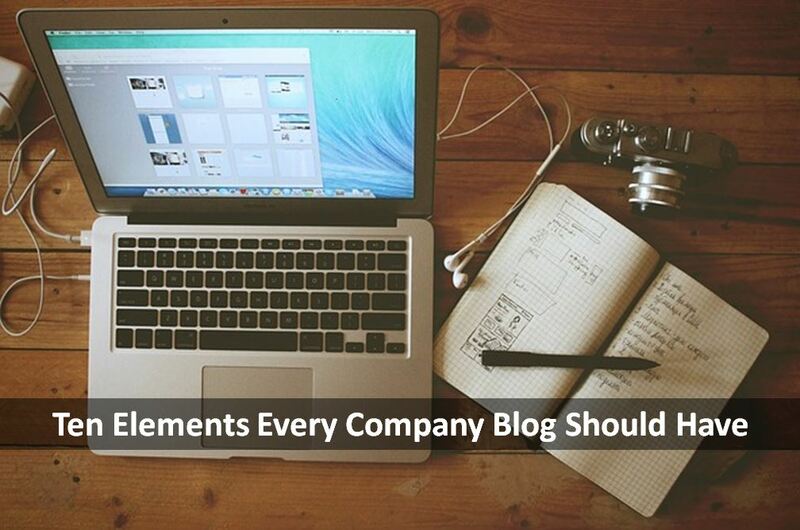 If your company blogs, what are some other elements that you believe are vital to your blogging efforts? Which of these are most important? What about a comment policy page? Three to five blogs a week seems way to much for me. In will be lucky to get two a month off. However am going to bookmark this so I can review my blogging strategies. Thanks Mack for the article.